Architects are very important players in the construction of new houses and building as well as the extension and renovation of old buildings. They are involved in the design, research and planning of all construction projects in Canada. Not only are they involved in the actual design of buildings themselves, but they are also instrumental in their use of the environment and surrounding spaces in their designs. Good architects are skilled manipulators of spaces and they have spectacular creative visions. They are artists, mathematicians and businessmen. Architects create beautiful aesthetics while also making sure that projects are completed on time, responsibly and with functionality in mind. At times, they work alone while a great majority of the time, they actually work with other construction workers, both on and off the site, to ensure sure that a construction is going according to plan and on schedule. There are 2,022 vacancies for Architect roles in Canada available immediately, compared to 834 in Ontario. 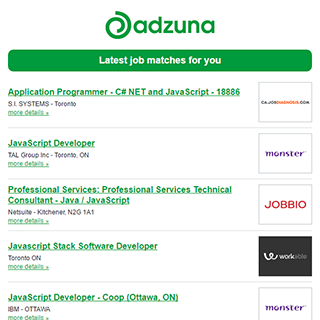 The Adzuna recency index score for this search is 1.52, suggesting that demand for vacancies for Architect roles in Canada is increasing. Companies presently offering vacancies for Architect roles in Canada include Deloitte, Scotiabank, Amazon..
118 new job listings for this search have been found in the last calendar day, compared with 259 in the last 72 hours and 397 in the last week. Get the latest Architect Jobs in Canada delivered straight to your inbox!